Another trip to the Great Basin is concluded and another 1600 miles on the truck. I’m now rifling through over 3000 images so it may be a while before some coherency emerges. 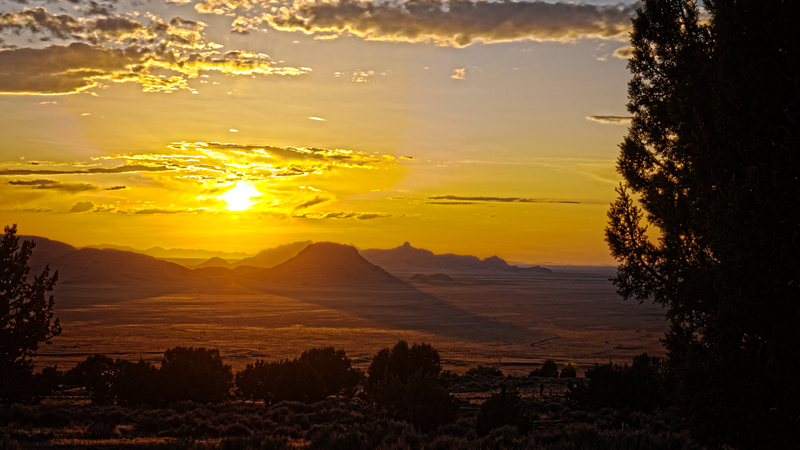 In the meantime I give you this sunset from Simpson’s Springs (please enlarge by clicking), not on the original highway but on the bypass around the Dugway Proving Grounds. The campground there is run by the Bureau of Land Management and is a nice place to stay overnight on the way to Ely or S.L.C. Much more is on the way. This entry was posted in Desert, Lincoln Highway, Loneliest Highway in America, Utah and tagged BLM, Dugway, Lincoln Highway, Utah. Bookmark the permalink. That’s a great picture to start off the rifling.